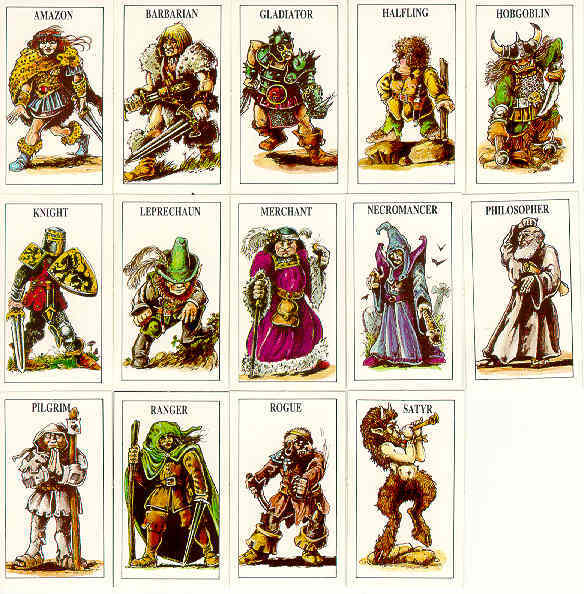 The numbering of these sets varied across the years, being presented in individual blisters, multiple figure blisters with at least two numbering schemes and also in blister boxes that matched the Talisman sets. 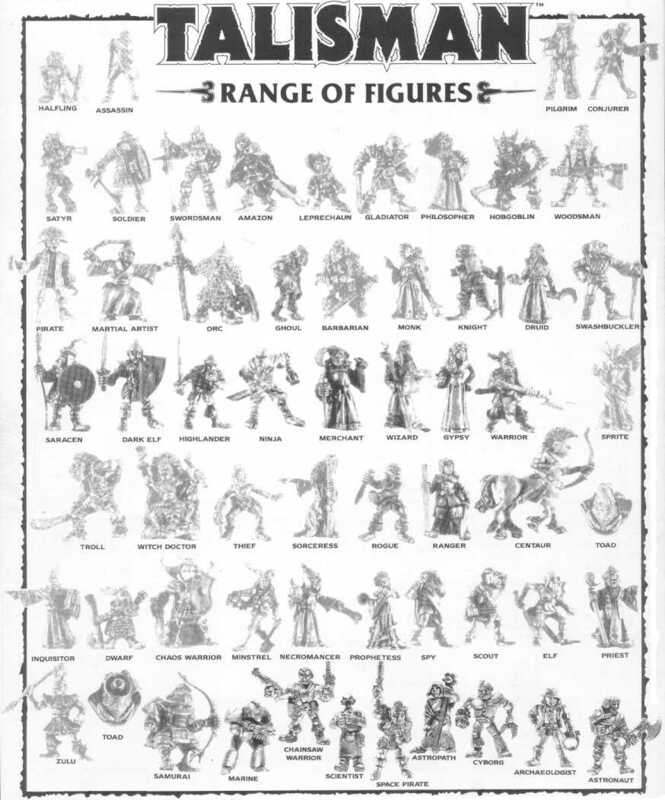 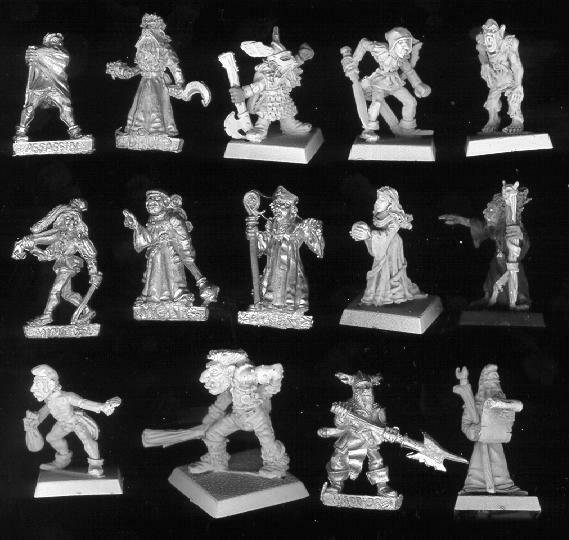 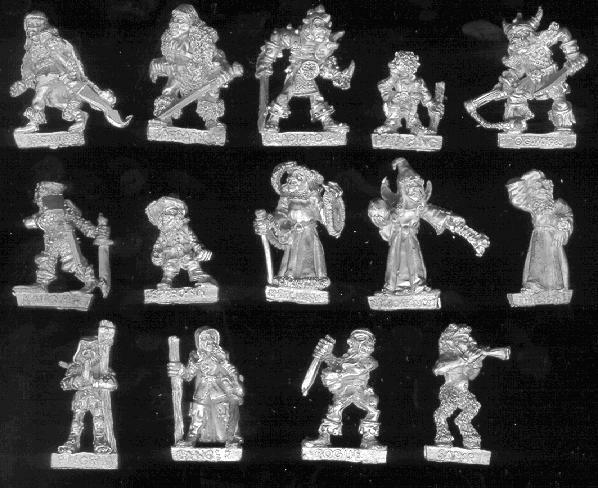 To see a picture of any of the miniatures look at either the Timescape Miniatures sheet or the blister box contents. 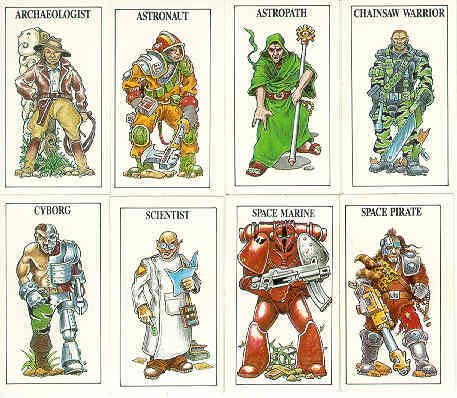 Presumably the earlier codes had been repackaged. 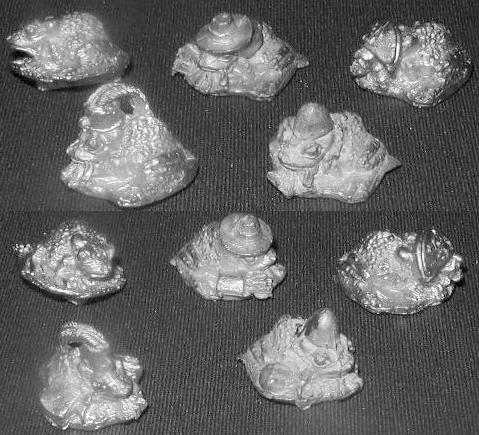 Talisman Timescape Miniatures Sheet (Pictures of all standard Talisman Miniatures from the Timescape Box) ) Large (98k)! 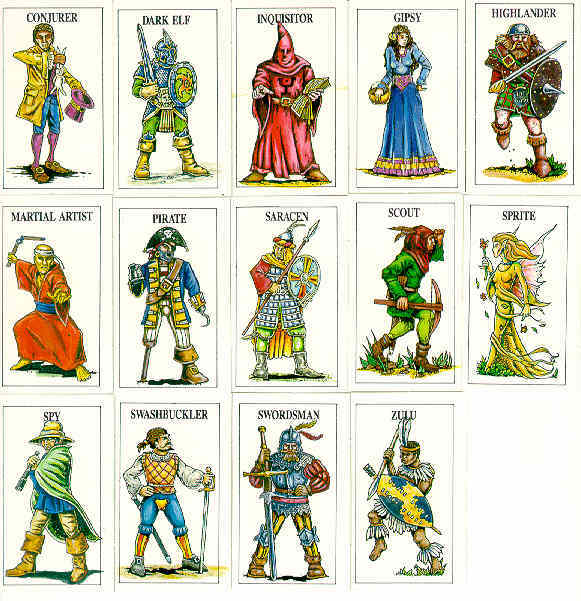 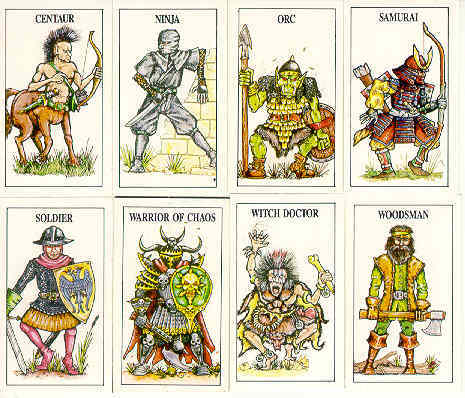 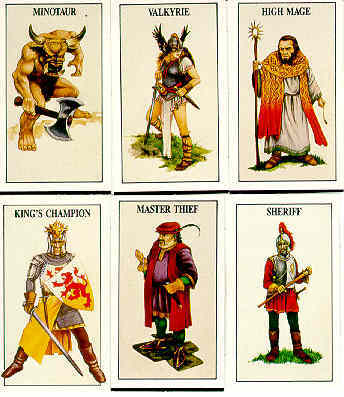 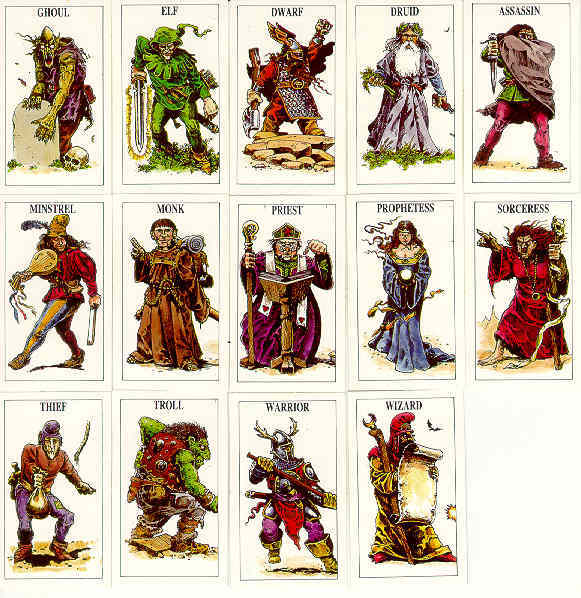 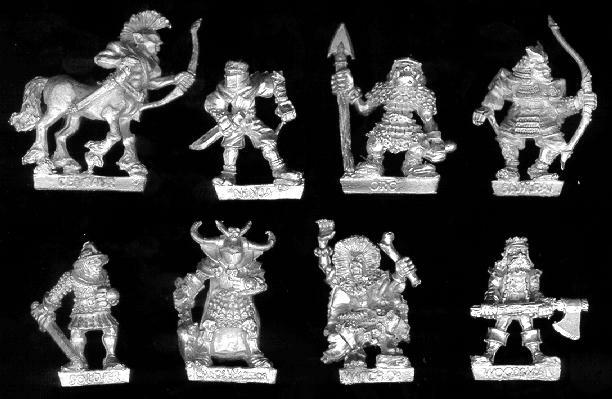 The 3rd edition of Talisman set of plastic miniatures.